Slave Narratives consists of iconic pieces of literature that preserve the life and the legacy of many unknown people - African -American Slaves. African-Americans, a race of people forced into chattel slavery for more than 400 years and overtly dehumanized, persevered despite being treated and referenced as animals or property. Even as they experienced and endured extreme physical and psychological abuse, many former slaves were determined to leave a history for future generations to study. 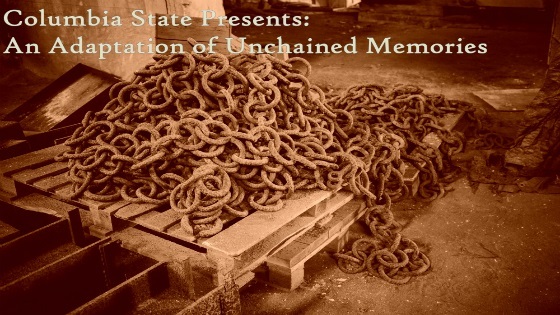 In honor of these courageous efforts and from the vision of Ms. Shelley D. Manns, Associate Professor for English, Columbia State Community College presents the performance: An Adaptation of Unchained Memories. Columbia State Community College’s faculty, staff, students, and retirees, bring the lives of these brave African American women and men to the stage and amplify their voices in live narration. We extend an invitation to all students, faculty, staff, and the Columbia and Franklin community to come experience and witness the joys, sorrows, fears, courage, and love of a beautiful people who fought for their humanity and won significant victories.